Marayoor, located forty km from Munnar, is a rain shadow village lying in the eastern side of the Western Ghats and is bordered by the neighbouring state Tamil Nadu. 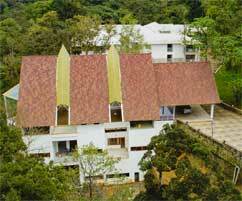 Marayoor is the only place in Kerala with a natural growth of sandalwood trees. A reduced rainfall is most suited for the the sandalwood factory run by the Forest Department is of tourist interest. Although compared to the neighbouring states like Tamilnadu and Karnataka, Kerala has less acres of sandalwood forests, the same being confined to Marayoor and a few forest areas in Wayanad hills, the state possesses the best types of sandalwood trees owing to a reduced rainfall which favours its abundant growth. 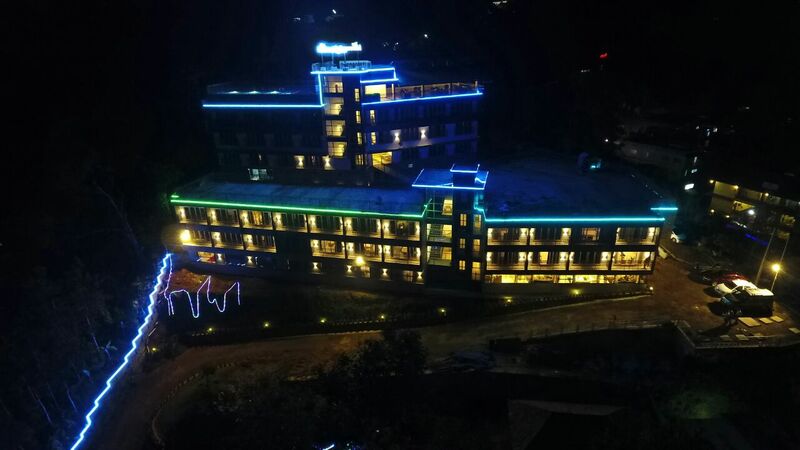 Marayoor as a pristine, heavenly and unexplored tourist spot is comparable to Munnar which is one of the most sought after hill stations in India in every respect. The place is especially an excellent trekking spot for adventure seekers. The road from Rajamala to Marayoor is flanked by lush green tea estates. As y ou drive by, there are occasional waterfalls. Then you come across the sandalwood forest. First, the trees appear one by one, and soon these turn into a sea. The air is cool and one comes under the rain shadow area. Marayoor houses the ‘muniyaras’ or the stone coffins with underground tunnels, which date back to the Neolithic period. These cave-like structures resting on vertical rocks are present everywhere - they are stone slabs resembling crudely-made boxes. There are paintings depicting the legendary wanderings of ‘Rama and Sita' and the 'Pandavas' inside the caves. Descending the hill, one can see the cane crop in the valley below dancing in the wind. A park named Rajiv Gandhi National Park is an ideal picnic spot nearby . A children's park formed under the canopy of a single Banyan tree spreads across a hectare of land and is a wonderful sight. Then there is the Thoovanam Waterfalls where one can spend endless hours romancing with nature. Marayoor is inhabited by a group of tribals who are primarily engaged in agriculture. The temperature in summer goes up to 30 degree Celsius while the winter temperature can come down to as low as 8 degree Celsius. It is one of the main towns in the district of Idukki. This place can also be accessed from Pollachi / Palani in Tamilnadu and from Munnar. 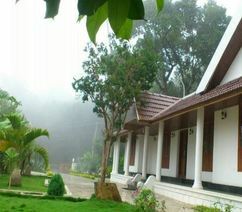 Tourists can find a good number of accommodation facilities as well as shopping facilities at Marayur and in Munnar. Sandalwood, the famous aromatic wood is yielded by the family of trees belonging to the genus Santalum. This particular wood which is heavy , fine-grained and yellow in color, retains its fragrance for decades. The sandalwood fragrance is very distinctive and is used in countless applications including utility and decoration. Sandalwood has been valued and treasured for many years for its fragrance, carving, medicinal and religious qualities. To get commercially valuable sandalwood with high levels of fragrant oils, the Santalum trees need to be at least eight years of age and ideally fourteen years of age. Unlike most trees, sandalwood is harvested by toppling the entire tree instead of sawing them down at the trunk. This way, valuable wood from the stump and root can also be sold or processed for oil. Sandalwood paste is integral to rituals and ceremonies, to mark religious utensils and to decorate the icons of the deities worshipped. It is also distributed thereafter to devotees, who apply it to the forehead or the neck and chest. Preparation of the paste is considered a duty fit only for the pure, and is therefore entrusted in temples and during ceremonies only to priests. The paste is prepared by grinding pieces of the wood by hand upon granite slabs shaped for the purpose. With slow addition of water a thick paste results, which is mixed with saffron or other such pigments to make the aromatic ‘chandan’. Sandal is also used in perfumes and to coat incense sticks. In medicine, sandalwood essential oil, which is very expensive in its pure form, is used primarily for ayurvedic purposes and treating anxiety. Sandalwood curios and fancy décor items are also available in the market.